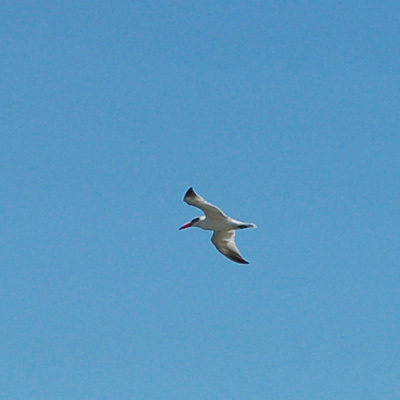 I think this is a common seagull. I took it at Dunwich on North Stradbroke Island. 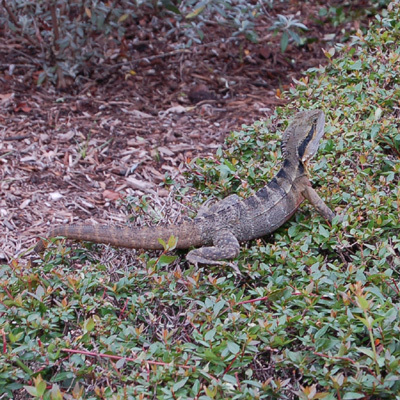 This is a young Frill-Necked Lizard, I took this photo at the Botanic Gardens in Brisbane. It's frill hasn't developed yet. 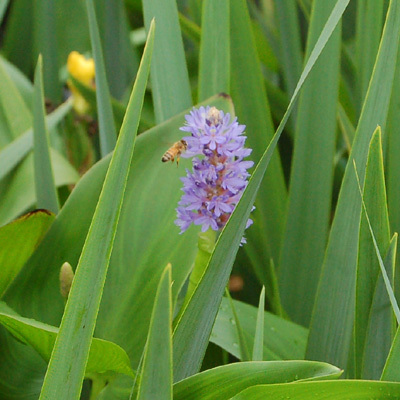 A bee pollinating an the flower of an unspecified species of "Arrowhead", which is related to the Water Hyacinth. The narrow leaves are that of a common water Iris. I really liked how the dew on the leaves in the background turned out so crisp. 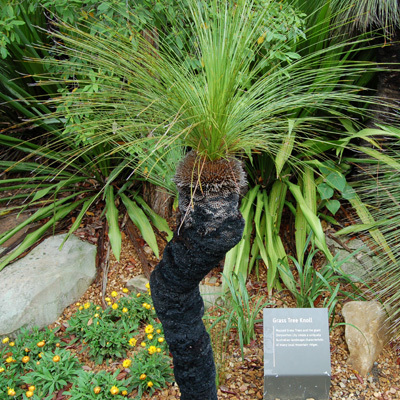 This a common 'Black Boy' (the politically correct term is Grass Tree), native to Australia. This specimen is at the Roma Street Parklands. 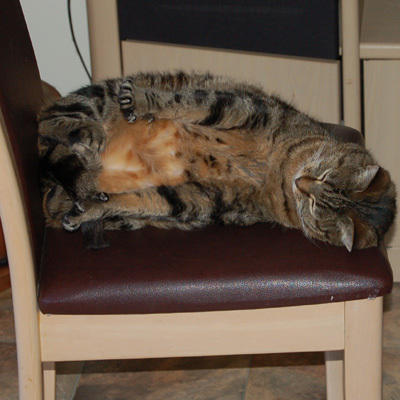 My cat on her favourite chair. 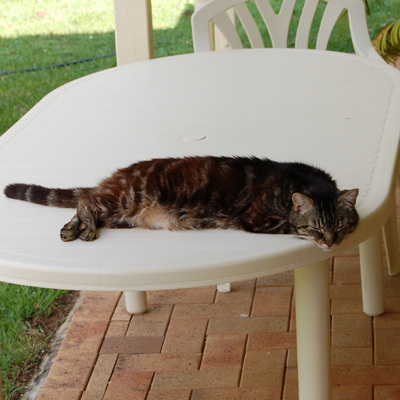 My other cat on the table, busy snoozing the day away. What a life!